Chalgrave Parish > Chalgrave News > Chalgrave News Issue 57 – Winter 2017. The latest issue of the Chalgrave News (Issue 57, Winter 2017) is now available to view here or browse past issues. It’s been a busy year for the Chalgrave news team…and we’ve loved it! Turns out we are a very active community and there have been lots of village events to cover. Some felt really significant as they were firsts or lasts and the end of an era. new annual event for the village with this year’s event likely to take place in June. November saw the last fireworks display at the Queens Head with Colin as Landlord. In December, and after too long an absence, the village concert made a welcome return. It’s fair to say it was a great success and certainly great fun. Over £1000 was raised that will go towards keeping hire costs down for residents. The following evening, Ray and Sue led the carol singing as we welcomed back the Christmas tree light up at St Mary’s Close. It was quite a sight. real hope. New pub owner Martyn Murphy, who also owns the Old Palace Lodge in Dunstable and the Cross Keys at Totternhoe has stated his intention to refurbish our local and run it as a going concern. It looks like the Queens Head has been saved after all. Well done Chalgrave! If you have any articles or stories to contribute to the next edition, please send them to thechalgravenews@gmail.com. 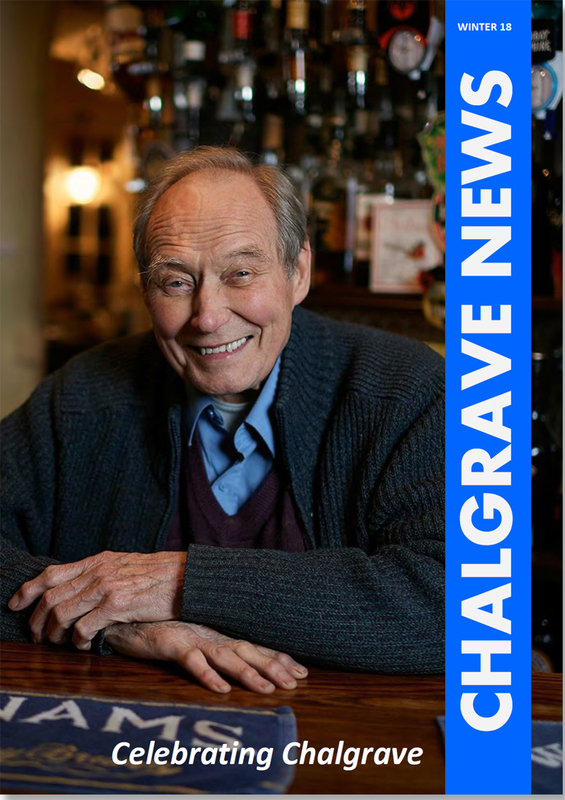 To advertise in the Chalgrave News, please call 07927 144090 or email thechalgravenews@gmail.com. Deadline for the next edition is 30 March 2018.